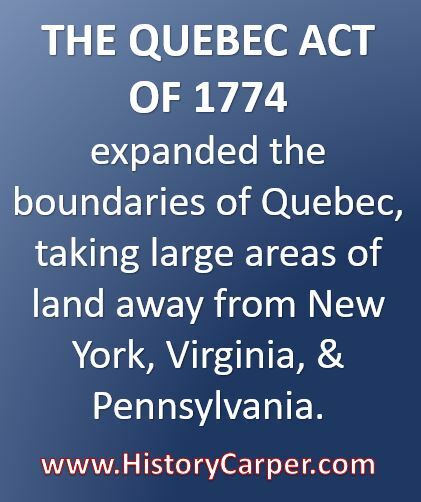 And whereas the Provisions made by the said Proclamation, in respect to the Civil Government of the said Province of Quebec, and the Powers and Authorities given to the Governor and other Civil Officers of the said Province, by the Grants and Commissions issued in consequence thereof, have been found, upon Experience, to be inapplicable to the State and Circumstances of the said Province, the Inhabitants whereof amounted at the Conquest, to above Sixty five thousand Persons, professing the Religion of the Church of Rome. It is hereby declared, That His Majesty’s Subjects professing the Religion of the Church of Rome, of, and in the said Province of Quebec, may have, hold, and enjoy, the free Exercise of the Religion of the Church of Rome, subject to the King’s Supremacy, declared and established by an Act made in the First Year of the Reign of Queen Elizabeth, over all the Dominions and Countries which then did, or thereafter should, belong to the Imperial Crown of this Realm; and that the Clergy of the said Church may hold, receive, and enjoy their accustomed Dues and Rights, with respect to such Persons only as shall profess the said Religion. Provided nevertheless, That it shall be lawful for His Majesty, His Heirs or Successors, to make such Provisions out of the rest of the said accustomed Dues and Rights, for the Encouragement of the Protestant Religion, and for the Maintenance and Support of a Protestant Clergy within the said Province, as he or they shall, from Time to Time, think necessary or expedient. And whereas it is at present inexpedient to call an Assembly: be it therefore enacted by the Authority aforesaid, That it shall and may be lawful for His Majesty,and with the Advice of the Privy Council, to constitute and appoint a Council for the Affairs of the Province of Quebec, to consist of such Persons resident there, not exceeding Twenty-three, nor less than Seventeen, as His Majesty,shall be pleased to appoint:…which Council, so appointed and nominated, or the major Part thereof, shall have Power and Authority to make Ordinances for the Peace, Welfare, and good Government of the said Province with the Consent of His Majesty’s Governor, or, in his Absence, of the Lieutenant Governor, or Commander in Chief for the Time being.